Volkswagen is on a mission to take out the Ford Focus ST and RS. To try and make you forget the infamous Dieselgate scandal ever happened and win back customer confidence, Volkswagen is trying to rebrand itself as a leading electric carmaker with the launch of the new I.D. range, which will include the rebirth of the iconic Microbus. Don’t think, however, that the German automaker is neglecting its staple hot hatches 2019 will mark the launch of the new eighth-generation Golf, and according to Autobild the hot GTI and R Golf variants will be getting significant power boosts and weight reductions. According to the report, the new Golf GTI will have the Focus ST firmly in its sights. 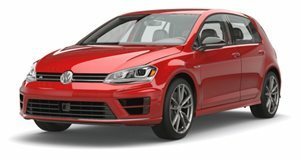 With 210-hp on tap from its 2.0-liter turbocharged engine, the current Golf GTI isn’t exactly slow, but the publication claims that the 2019 model will get a power boost of 40-horsepower, bringing the total output to 250-hp. 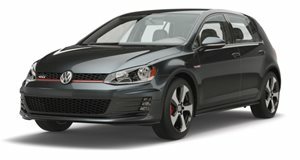 This would make the Golf GTI more comparable to the Focus ST which packs 252-hp. Likewise, the next-gen Golf R will be targeting its arch rival, the formidable Ford Focus RS, and will receive an additional 45 ponies to match the 350-hp you get in the RS. Additionally, the Golf R will be put on a strict diet to shed between 35 and 70 kg and will have a more aerodynamic body. It’s also suggested that the entire Golf range will receive an upgraded interior with an all-digital dashboard and a large central infotainment screen. As for the powertrain, the report doesn't confirm if Volkswagen will continue to utilize its 2.0-liter turbocharged inline-4. Other reports have previously suggested that the entire eighth-gen Golf line-up will adopt a mild hybrid powertrain using an 48V electrical system and integrated starter motor.